Humber Trail Likely Stuck for this Year. 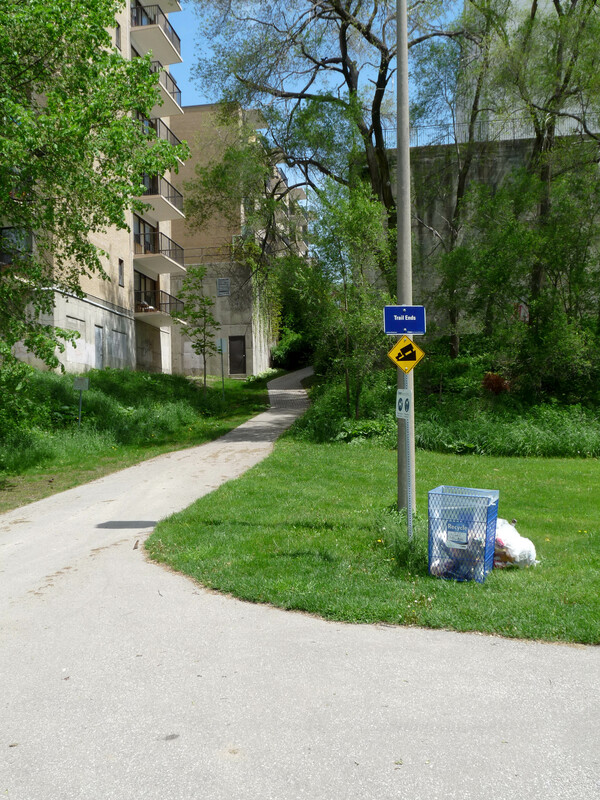 The trail ends between buildings and leads up a steep slope to busy Weston Road. 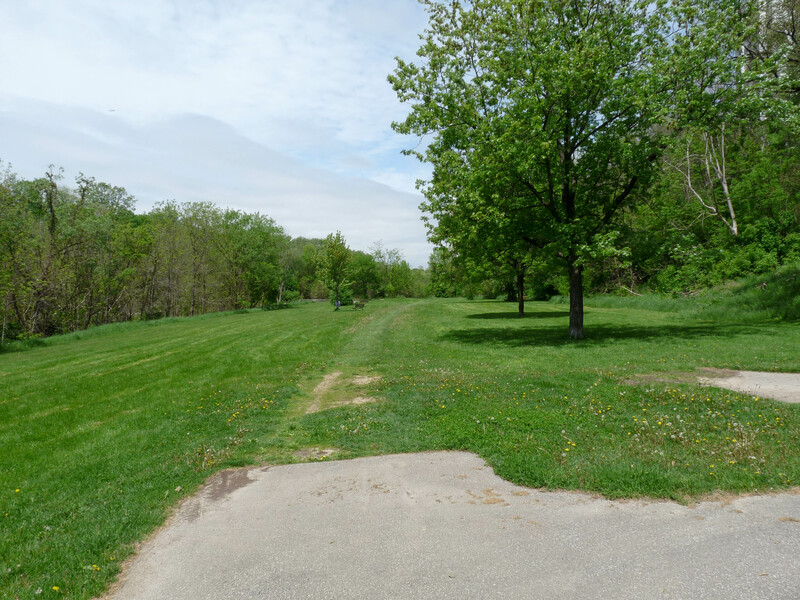 Although plans are in place to continue the Humber Trail beyond its current abrupt ending in Cruickshank Park, it’s unlikely we’ll see any progress on the ‘Weston Gap’ this year. According to Transportation Planner Jennifer Hyland, City Transportation Services are involved with negotiations on property transfers with the Ontario Ministry of Transportation. This would take the trail to Mallaby Park. In addition, there are plans to incorporate a 4m wide path on the west side of the railway bridge by 2014. Where the trail is set to continue. Ms Hyland also says that progress has been slow because of the ‘varying property interests’. Let’s hope that planners and politicians can redouble their efforts on this important project so that cyclists and trail walkers can appreciate the stunning beauty of the Weston section of the Humber Valley. This will also allow Weston to capitalize on its bicycle connection.